Panda Security presents its simple and light endpoint security and productivity solution. Endpoint Protection Plus provides centralized and uninterrupted protection for all of your Windows, Mac and Linux workstations, including laptops and servers, in addition to the leading virtualization systems and Android devices. Panda Security's Collective Intelligence technology protects all workstations and servers against threats and exploits that use unknown zero-day vulnerabilities in real time, without needing to install additional servers or IT infrastructures. It also monitors and filters Web traffic and spam, allowing the company to focus on its business and forget about unproductive employee behavior. Keep any corporate network virus and spam free. Monitor your users' web access. Endpoint Protection Plus provides centralized protection for all of your Windows, Mac and Linux workstations, including laptops, smartphones and the leading virtualization systems. Why do I need an enterprise antivirus solution like Endpoint Protection Plus? Maximum malware detection, even for malware that exploits unknown (zero-day) vulnerabilities, regardless of the source of infection (email, Messenger, Web, etc). Anti-theft protection for mobile devices through geolocation tools. We prevent confidential information from leaking from your company through remote data wiping and device locking. No more saturated inboxes thanks to anti-spam protection and complete protection against malicious messages in Exchange servers. Monitoring and filtering of website categories that are unproductive and/or dangerous for your company during working hours, without needing to install add-ons on the user's browser. Centralized management of security and product upgrades through a simple Web browser for all network workstations and servers. Manage your Windows, Linux, Exchange Server, Mac OS X or Android protection from a single administration console. Run the Cleaner Monitor tool remotely and repair workstations infected with advanced or non-conventional malware. With Endpoint Protection Plus you can carefully monitor the security of your corporate network. Automatically generate easy to interpret reports and graphs, or consult all of this data in real time through comprehensive dashboards. You can use two methods to install the antivirus on all endpoints on your network: via an email with a download URL or transparently with the Endpoint Protection Plus deployment tool (compatible with Active Directory, Tivoli, SMS etc.). Reduce the risk of attacks on your Exchange servers with the content filter feature. Improve end-user productivity and protection by filtering unwanted and malicious messages with the anti-malware and anti-spam engines. 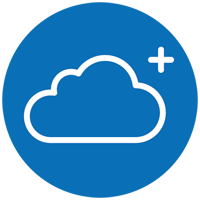 The solution is hosted on Microsoft Azure with complete data protection guaranteed. Our data centers are ISO 27001 and SAS 70 certified. At least one with an Internet connection. Operating systems (workstations): Windows 2000 Professional, Windows XP SP0 & SP1 (32 and 64-bits) XP SP2 and later, Vista, Windows 7 & Windows 8.1 (32 and 64 bits). Operating systems (servers): Windows 2000 Server, Windows Home Server, Windows 2003 (32, 64 bits and R2) SP1 and greater, Windows 2008 32 and 64 bits, Windows 2008 R2 (64 bits), Windows Small Business Server 2011, Windows Server 2012 (64 bit and R2).